Every Democrat on the Senate Judiciary Committee boycotted a hearing Wednesday for six of President Trump’s judicial nominees. 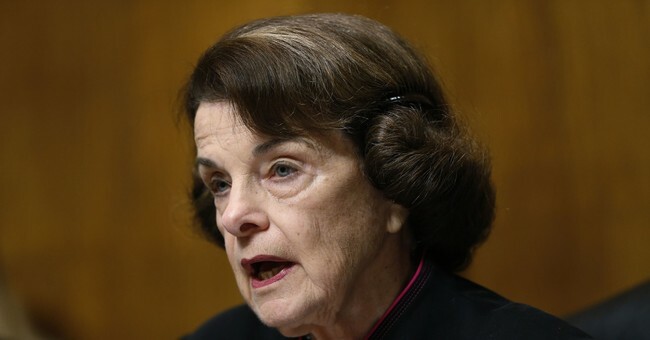 The committee’s top Democrat, Sen. Dianne Feinstein (CA), and the other Democrats on the committee wrote a letter to Judiciary Chairman Chuck Grassley Monday demanding that he postpone the hearings until after recess when the Senate returns to Washington on November 13th. "The Committee has never before held nominations hearings while the Senate is in recess before an election,” Democrats wrote. “The handful of nominations hearings that have been held during a recess have been with the minority’s consent, which is not the case here — in fact, we were not even consulted." "Holding hearings during a recess, when members cannot attend, fails to meet our constitutional advice-and-consent obligations," they claimed. Sen. John Kennedy of Louisiana (R-LA) chaired the sparsely-attended hearing Wednesday in place of Grassley and Sens. Orrin Hatch (R-UT), Mike Crapo (R-ID), and Ben Sasse (R-NE) were also present. The battle over judicial nominees continues in the Senate in the wake of the confirmation of Supreme Court Justice Brett Kavanaugh. Last week, Senate Majority Leader Mitch McConnell (R-KY) was able to reach an agreement to confirm 15 judges.